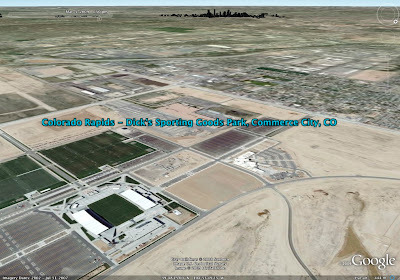 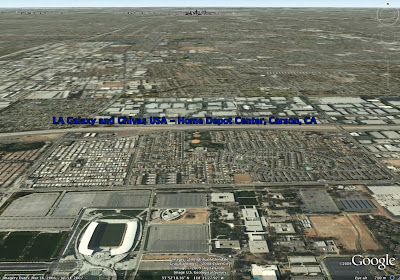 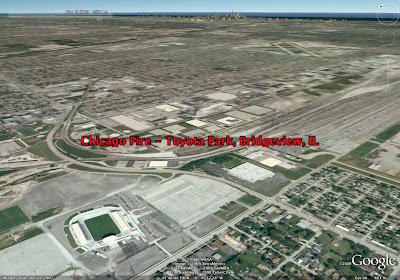 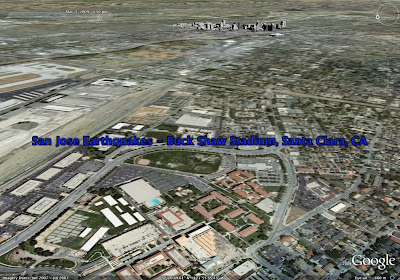 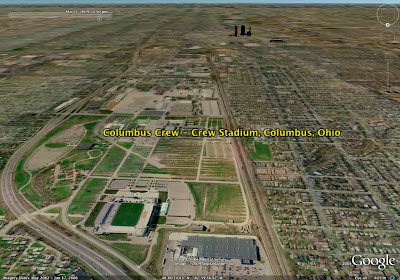 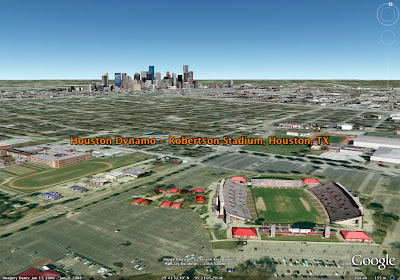 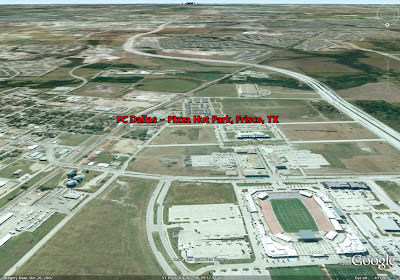 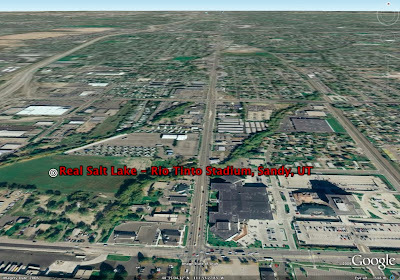 These Google Earth snapshot pictures show all of the currently used MLS stadiums in relation to the downtown areas of their respective cities. 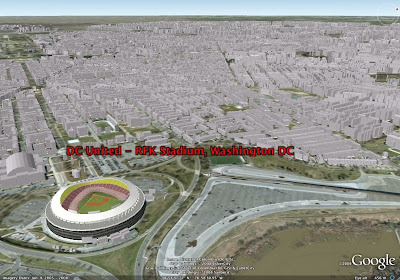 It might be obvious, but there seems to be at least some correlation between a close-to-downtown stadium location and strong MLS attendance when looking at the snapshots of the strongly attended teams in Seattle (based on presale), Toronto, DC, and Houston. 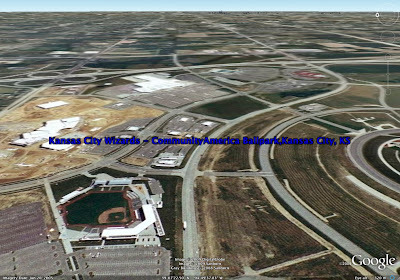 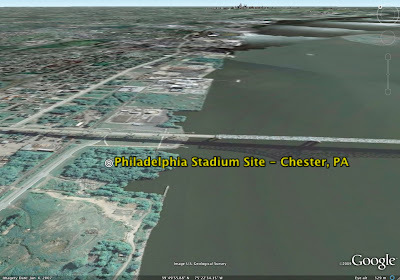 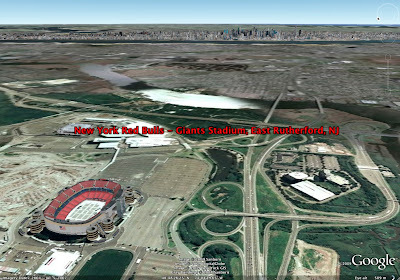 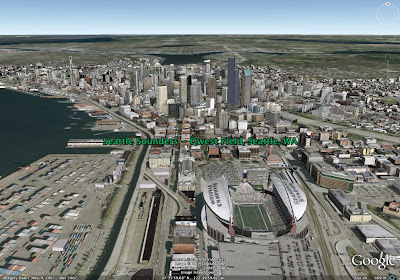 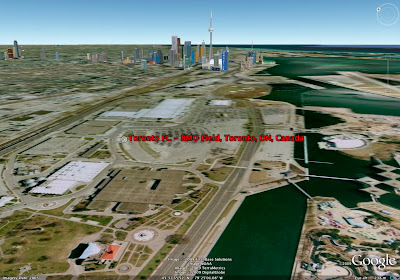 The new google earth has some pretty cool features that I'm going to hopefully figure out how to use in the near future.